Located 2 miles from its famous neighbour, Stonehenge, is this ditched enclosure that once housed a wooden building made up of six concentric circles. The site was built around 2300 BC and remained in use until 1800 BC. Woodhenge may have been a site of child-sacrifice, for the skeleton of an infant was found in a grave within the henge, its skull split in two. Visiting the site today is a strange experience, for small concrete markers are used to mark the location of timber post holes. The result is a small forest of concrete markers, which can initially be difficult to interpret. There are 6 concentric rings of post holes. They do not describe a perfect circle, but are elongated on one side, creating an axis pointing towards the winter and summer solstices. The inner setting of post holes lies within an earthwork system of banks and ditches, which may have served a dual purpose as a defensive measure and as a ceremonial feature. The earthworks are some 110 metres (360 feet) across, with an entrance on the north east side. The banks were originally 33 feet wide, with the ditches 40 feet wide, and cut to a depth of 8 feet. 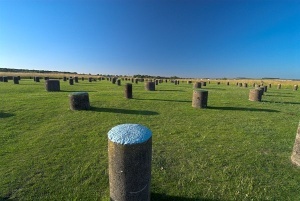 Woodhenge was originally thought to be the remains of a large burial mound set within earthworks. However, aerial photographs revealed the presence of holes outlining a circular structure. When the holes were investigated they proved to be sockets for supporting large timber posts. The posts in turn would have created a frame for a circular building. The third ring of post holes seems larger than the first two, suggesting that the building may have been built around an inner courtyard. 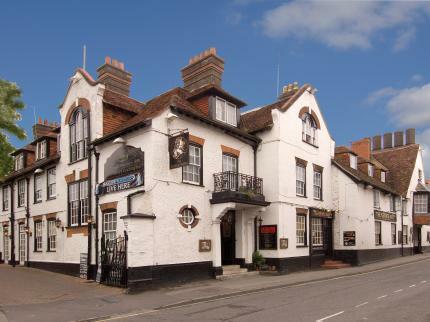 There is another possibility, however; there may have been no building at all. Perhaps the timber poles were simply free-standing, like native American totem poles, perhaps painted and carved, serving a ceremonial purpose. When the site was excavated the grisly remains of a child's skeleton was discovered in the centre of the ring. Its skull had been split with an axe, suggesting a sacrificial execution. 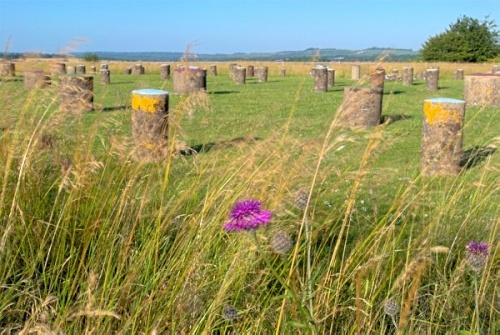 It seems quite possible that a timber structure similar to Woodhenge may have been built at Stonehenge before the famous stone circle was erected. 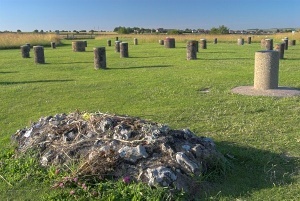 Excavations revealed that the area around Woodhenge was used throughout the Iron Age and the Roman period, so it seems not unlikely that the earthworks surrounding the timber structure may have served a defensive purpose at that time. Don't come to Woodhenge expecting to be awed with wonder as you might be at Stonehenge. 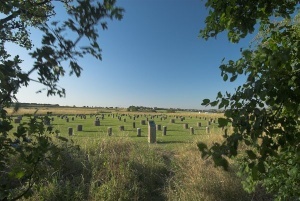 But that's not to say that Woodhenge is not interesting; it is! A lot of that interest is simply the mystery of what the circular structure at Woodhenge was meant to be. How was it used? Why was a child apparently sacrificed at the centre of the circle? We don't know, and that just adds to the sense of mystery. The site of child sacrifice?